Man, it has been ages. I miss getting involved with all the Friday hops! Question: Have you ever been to BEA, and what was your favourite experience? I sadly have never been. Going to BEA is one of the top 20 on my bucket list, and I WILL do it at least once in the next five years (fingers crossed, of course). If you've been to BEA, let me know how it was! I'd love to hear stories and tips for getting the most out of it. Summary (from Goodreads):When her best friend Meg drinks a bottle of industrial-strength cleaner alone in a motel room, Cody is understandably shocked and devastated. She and Meg shared everything—so how was there no warning? But when Cody travels to Meg’s college town to pack up the belongings left behind, she discovers that there’s a lot that Meg never told her. About her old roommates, the sort of people Cody never would have met in her dead-end small town in Washington. About Ben McAllister, the boy with a guitar and a sneer, who broke Meg’s heart. And about an encrypted computer file that Cody can’t open—until she does, and suddenly everything Cody thought she knew about her best friend’s death gets thrown into question. My Summary: Meg and Cody are the kind of best friends that have never gone more than a day without speaking. But things become strained when Meg goes off to college, leaving Cody alone in their tiny. suffocating town. The girls try to keep up their relationship, but things become difficult for both Meg and Cody. And when - after weeks of barely speaking - Meg commits suicide, Cody is forced to confront what it was that made Meg give up on everything, and figure out why Meg never confided in her. My Thoughts: As usual, Gayle Forman's writing had me up late into the night, flipping pages like nobody's business. I've been a fan since If I Stay was one of the few contemporaries in the YA section (remember the Twilight days, guys?) and I have loved Gayle Forman's writing since then. It was like love at first sentence, really. Cody was such a relatable character. Her jealousy and anger towards Meg were so easy to understand - despite loving them, sometimes we can't help but hate our best friends a little - and her heartbreak and feelings of betrayal when she found out Meg was hiding so much cut deep. And her disgust with herself when she starts to feel attracted to Ben was so heartbreaking, I just wanted to reach in and give the girl a hug. 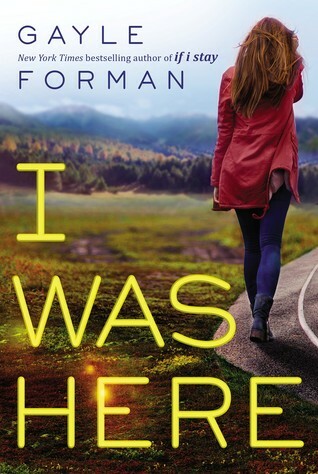 Forman's writing flows incredibly well - there's something about her books that is just so smooth and readable. The pacing was also very well done, as well as the reveal of some key plot points. What really broke my heart about this novel was the strained relationship between Cody and Meg in Meg's final weeks. It's so easy to imagine a loved one with a mental illness struggling to find someone to reach out to when they think they've alienated the only people who care, and I think that's why the novel really hit home for me. We've all been felt Meg's heartbreak and that clawing emptiness at some point, even if it's not to the extent that appears in the novel. 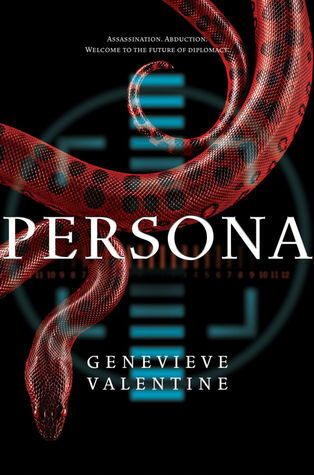 Final Thoughts: I definitely recommend this book to fans of edgier contemporary YA and new adult novels, as well as fans of Gayle Forman's other work. Summary (from Goodreads): Lost and broken, Celaena Sardothien’s only thought is to avenge the savage death of her dearest friend: as the King of Adarlan’s Assassin, she is bound to serve this tyrant, but he will pay for what he did. Any hope Celaena has of destroying the king lies in answers to be found in Wendlyn. Sacrificing his future, Chaol, the Captain of the King’s Guard, has sent Celaena there to protect her, but her darkest demons lay in that same place. If she can overcome them, she will be Adarlan’s biggest threat – and his own toughest enemy. This book had me alternating between cheering and wanting to scream. I loved Rowan and a lot of the new secondary characters - as usual, Sarah does do anything halfway when it comes to bringing her characters to life. That ending made me furious, but in the interest of keeping this review spoiler-free, all I will say is this: WHY SARAH, WHY? Why would you do that to him? On that note: this book tore out my heart and I gladly let it. 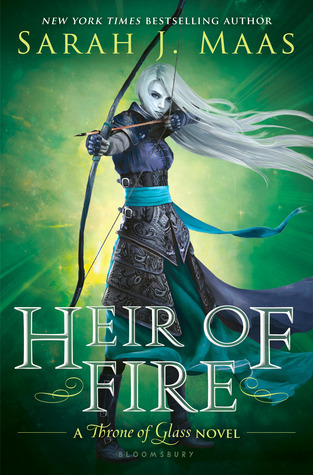 Check out Sarah J. Maas' Throne of Glass series if you haven't already - and let me know when you finish so that we can discuss things in all-caps (that is seriously the only way to do it after reading this series). I'll definitely be pre-ordering the fourth installment as soon as possible, and you should too. Summary (from Goodreads): From the throne of glass rules a king with a fist of iron and a soul as black as pitch. Assassin Celaena Sardothien won a brutal contest to become his Champion. Yet Celaena is far from loyal to the crown. She hides her secret vigilantly; she knows that the man she serves is bent on evil. 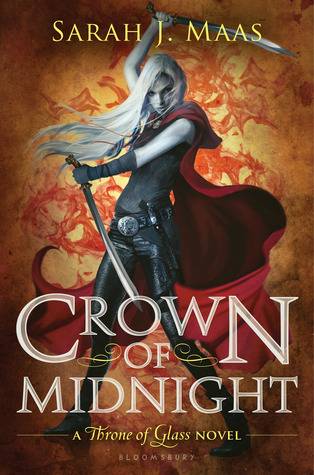 I never expected to enjoy the second book in the series more than the first, but that is exactly what happened with Crown of Midnight. The plot twisted and turned and wrenched my heart out along with it - I was SO happy, and then I really, really wasn't. And if you've read Crown of Midnight, you know exactly what I'm talking about. I thought I predicted that ending, but NOPE. I was not prepared for that, guys. Also, I was kind of torn between wanting to throttle Chaol and wanting to hug him. Celaena too, if I'm being honest. This book had my emotions in a death-grip, and I loved every minute of it. If you haven't already, check out Sarah J. Maas' incredible Throne of Glass series. I promise you will not be disappointed. Summary (from Goodreads): After serving out a year of hard labor in the salt mines of Endovier for her crimes, 18-year-old assassin Celaena Sardothien is dragged before the Crown Prince. Prince Dorian offers her her freedom on one condition: she must act as his champion in a competition to find a new royal assassin. Her opponents are men-thieves and assassins and warriors from across the empire, each sponsored by a member of the king's council. If she beats her opponents in a series of eliminations, she'll serve the kingdom for three years and then be granted her freedom. This book had me hooked after the first sentence. Celaena is an amazing main character, and the plot itself was incredibly intriguing, The writing was beautiful and almost lyrical, and the secondary characters were so well-written that I couldn't pick a favourite. I adored all the creepy paranormal elements, as well as the contrasts between Celaena's life in the mines and her life in the castle. It's a good thing I bought the entire series at once, because I cannot wait to read more from this talented author! 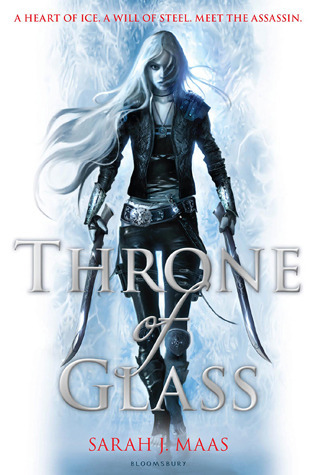 Check out Throne of Glass if you haven't already (because I know I'm a little late to this party). Summary (from Goodreads): Rory and her friends are reeling from a series of sudden and tragic events. While racked with grief, Rory tries to determine if she acted in time to save a member of the squad. If she did, how do you find a ghost? Also, Rory’s classmate Charlotte has been kidnapped by Jane and her nefarious organization. Evidence is uncovered of a forty-year-old cult, ten missing teenagers, and a likely mass murder. Everything indicates that Charlotte’s in danger, and it seems that something much bigger and much more terrible is coming. This book embodied everything I have come to expect from Maureen Johnson and more: hilarity, action, more hilarity, badass ghost-fighting, and multiple moments of "ARE YOU KIDDING ME RIGHT NOW?!!". Needless to say, if you haven't checked out anything by Maureen Johnson... well, get on that, friend. There is no way to review this novel without revealing some huge plot points, so all I will say is this: I enjoyed every minute of this installment, and Maureen did not disappoint when it came to upping the creepy-factor this time around. I had chills at points, and that is no small feat. The twins and their hijinks and their Gatsby-esque car... so much creepy. I loved every minute. I am beyond excited for the fourth installment. 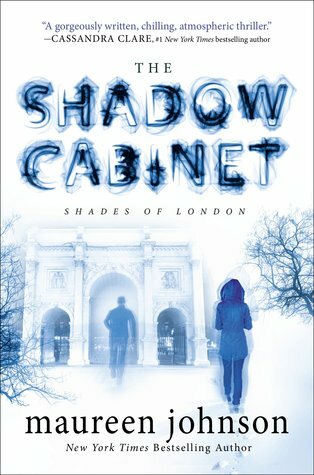 If you haven't checked out the Shades of London series, I definitely recommend you do so - especially if, like me, you're a fan of cliffhangers that leave you in a state of "... WHAT?!" for weeks to come. Summary (from Goodreads):Sixteen-year-old physics nerd Aysel is obsessed with plotting her own death. With a mother who can barely look at her without wincing, classmates who whisper behind her back, and a father whose violent crime rocked her small town, Aysel is ready to turn her potential energy into nothingness. There's only one problem: she's not sure she has the courage to do it alone. But once she discovers a website with a section called Suicide Partners, Aysel's convinced she's found her solution--Roman, a teenage boy who's haunted by a family tragedy, is looking for a partner. Sixteen and disenchanted with her existence, Aysel begins to plan for the end. She knows she won't be able to follow through on her own - as a woman of science, she knows how strong survival instincts are in homo sapiens - so she joins a website that connects "Suicide Partners". Aysel is paired with Roman: someone who, on the surface, appears to have no reason to want to die. And as she tries to figure out her Suicide Partner and her own reasons for wanting to die, Aysel begins to change her mind, But will she be able to convince Roman to give life a second chance? My Thoughts: This book was so many levels of perfection. 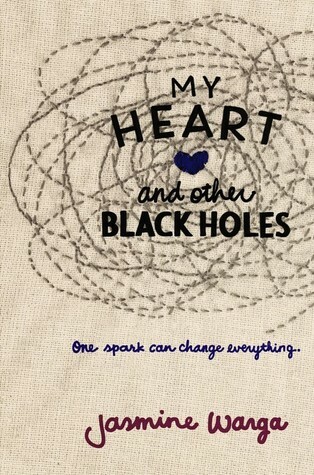 I loved so many of the aspects (starting of course with the physics elements). One of my favourite things about this novel was the fact that it did not attempt to romanticize, instead showing it for what it really was. So many novels (both classical and contemporary) attempt to turn depression into an endearing quality, when so many people struggle with the ugly truth of it every day. I adored that cover. It may appear simple, but it goes so well with the story. The writing itself was extremely strong. Aysel's voice and narration is piercing - it hooks you and doesn't let go. I also really liked the way that Warga approached Aysel's changing her mind: she made it clear that Aysel was not "magically cured", and neither was Roman. Fighting depression means making the choice to get better every day, not just a single moment of "wow, I'm happy now". One of my only complaints: I wish this book were longer! I wanted the story to continue past what we got to see (I'm trying not to spoil anything, but those who've read it already know exactly what I mean). Final Thoughts: I recommend this novel to fans of contemporary lit, fiction, and romance. Fans of All the Bright Places by Jennifer Niven will definitely enjoy it.